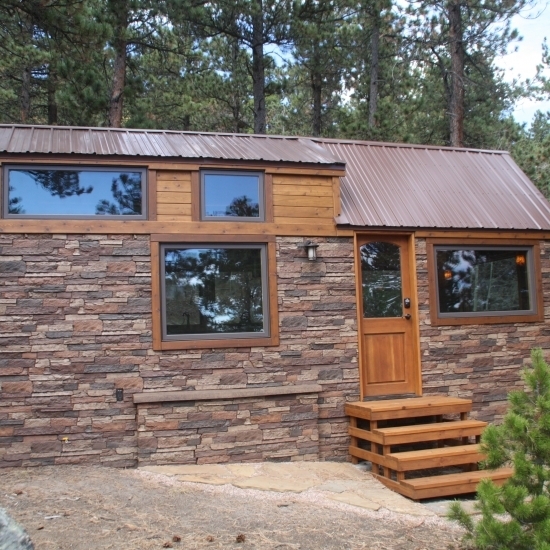 A Tiny Home can be the perfect solution for many alternative lifestyles. Chelsea, a Physician, was on the search for the perfect new location for her medical practice. She worked by contract in hospitals in various locations trying them on for the right fit. But finding a rental apartment that allowed pets became a hassle. Presto! 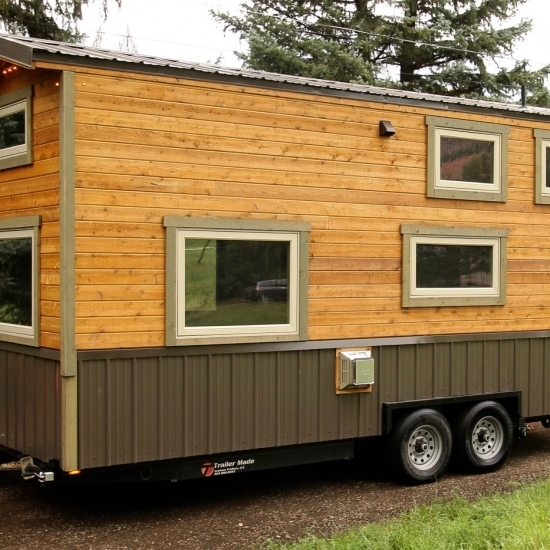 A Tiny Home that could move with her. She and her pets would always be at home. 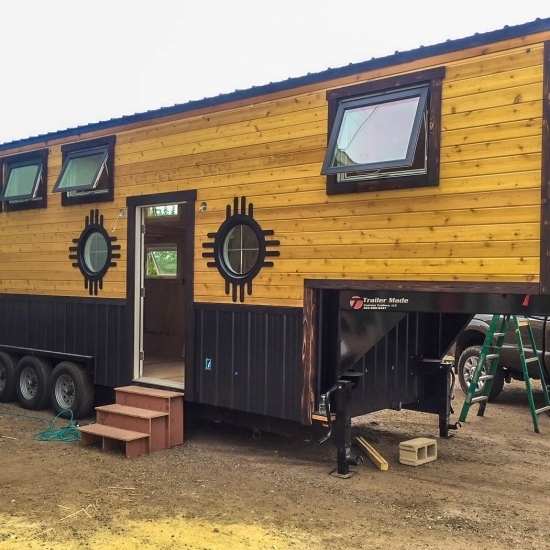 SimBLISSity built her custom Tiny Home with large windows to provide generous natural light, and an open floor plan for Chelsea to customize herself. Stairs provided easy access for her little dog, and cork flooring on the main floor for durability. The medium sized kitchen freed the opposite wall for closets and more closets, plus storage under the stairs. The “garage” on the rear afforded still more storage space. Chelsea bought a truck and hauled it cross country herself, her first time towing!